The New York Times has captured the 2013 Dishonest Reporting Award, given annually by HonestReporting to the journalist or media outlet most responsible for skewing coverage of Israel during the past year. The Times is America’s most influential newspaper, partly because of its reach, and partly because of its reputation for journalistic excellence. With more than 1.8 million subscribers, 4.7 million followers on Facebook, and another 10.4 million on Twitter, the New York Times is the second most-visited news site in the world. Put simply – what the Times says matters. When it came to coverage of Israel, the Times distinguished itself throughout the year by publishing news articles that glorified Palestinian stone throwers, opinion pieces that questioned Israel’s right to exist, and editorials that took a dismissive tone towards Israeli fears of a nuclear Iran. It also added an anti-Israel conspiracy theorist to its editorial board and capped the year with a flourish by publishing a sympathetic photo of a Palestinian terrorist’s mother in a story about the terrorist’s victim. Not once, but twice, the Times put stone-throwing Palestinians on a glowing pedestal. First was a March New York Times Magazine cover story about weekly protests at Nabi Saleh (accompanied by a photo slide show titled The Resisters). Cover of the New York Times magazine. That may be so to the Palestinians involved but try telling that to those Israelis who have been seriously injured or killed by Palestinian stone-throwers. 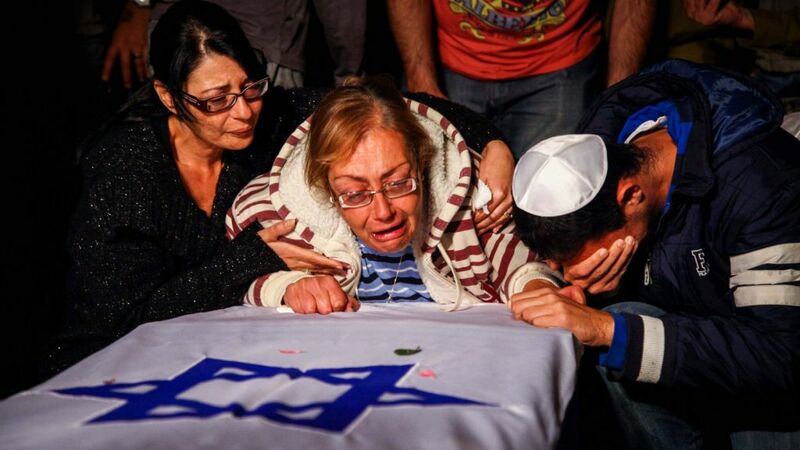 These victims, including a 3-year-old Israeli child, barely warranted a mention by the Times. There should be no question over Israel’s right to exist. The New York Times, however, saw fit to publish a hefty 2,052-word commentary by Professor Joseph Levine in March arguing that it’s not anti-Semitic to question Israel’s right to exist. A Jewish state, asserts Levine, is “undemocratic,” while the trappings of statehood aren’t a big a deal anyway. But the same rights the philosophy professor denies Jews are granted to the Palestinians. Self-determination? Jews need not apply. A second op-ed calling for Israel’s demise was published in September. At face value, Professor Ian Lustick appeared to be calling for a one-state solution. But a closer reading showed Lustick went beyond that to deny Jewish national aspirations. When it came to the Iranian nuclear issue, the New York Times looked like it was carrying out a personal vendetta against Benjamin Netanyahu. Over a dozen staff editorials, op-eds, and analyses trashed legitimate Israeli fears and dismissed Netanyahu to such an extent that it appeared that the paper was using an existential issue to settle personal scores. In October, the Times announced the expansion of its editorial board. Joining it was an Egyptian writer who has spread anti-Israel conspiracy theories, Alaa Al Aswany. Refused to allow his book to be translated into Hebrew or sold in Israel. Claimed baselessly that Israel meddled in Egypt’s revolution. Denied a long history of Arab anti-Semitism. The New York Times rounded off the year with a horrific photo flub. 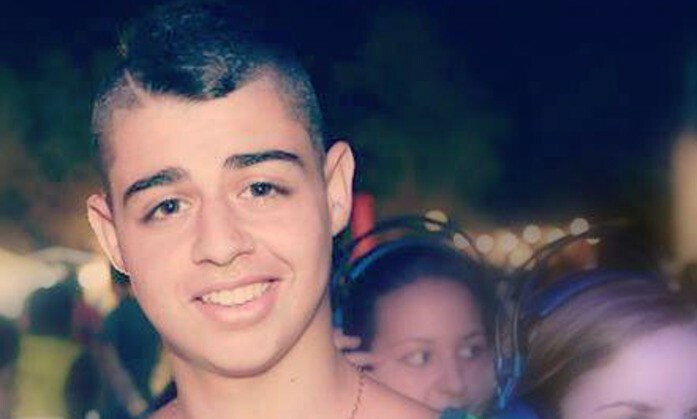 When Eden Atias, an 18-year-old soldier traveling to his base was stabbed to death by a Palestinian aboard a bus, one would have expected to see funeral images or a photo of Atias himself. So how was the Times’s coverage illustrated? With a sympathetic photo of — who else? — the terrorist’s mother. The Times was flooded with emails demanding an explanation. And they grabbed the paper’s attention. Public editor Margaret Sullivan concurred, and went on to quote two senior editors expressing their mea culpas. The chest-beating was certainly impressive, but the Times hasn’t changed the photo, which remains online, a lasting memorial to the Times’ false balance and misplaced sympathy. The New York Times really outdid itself in 2013. While the paper’s motto may be “All the News That’s Fit to Print,” the reality is that too much of its Israel reporting was simply not fit to print. For more on why The New York Times won the award, see the full coverage here.